Monteverde is like something out of a fairy tale. Situated in the mountains, this little town and the cloud forest that it’s known for are a delight. Anyone who’s coming to Costa Rica should make the trek. It’s not easy and definitely not for the faint of heart. But then again, none of the good things come easy. The road to Monteverde is one that is full of holes and rocks, muddy due to the constant drizzle that falls. On my last 12 miles, it took an hour just because you needed to go slow – painfully slow. I mean, unless you are looking to make sure your car insurance is in working condition. Every rock that my tires hit made me cringe. And ladies, wear a sports bra if you’re driving. Just a pro tip for you. But once you arrive in Monteverde (or Santa Elena, there are right in the same area), it all changes. 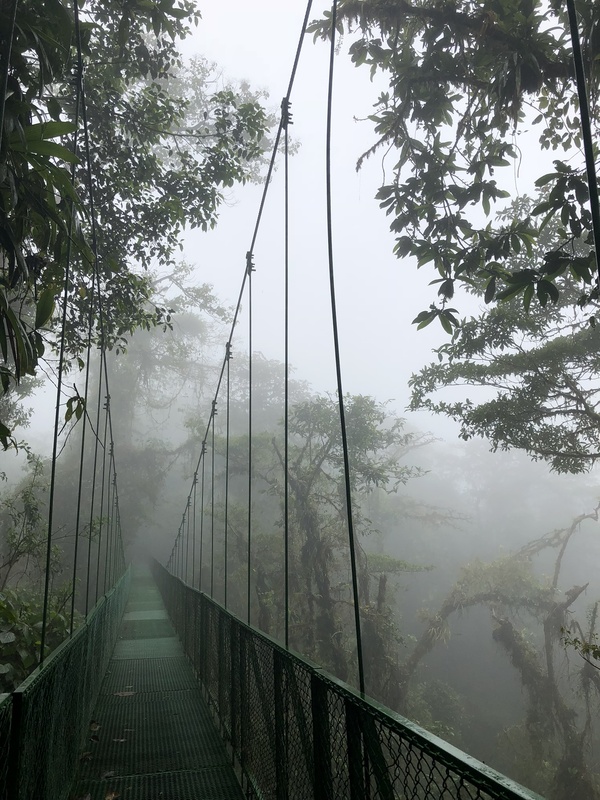 Once you get the chance to walk into the cloud forest, the world becomes a different place. 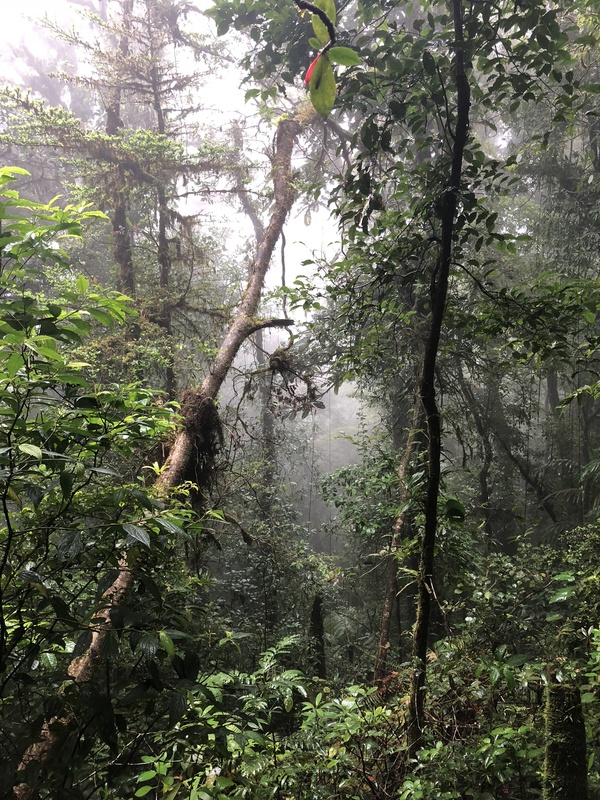 After a rather intense day of ziplining the canopy , I opted for a slower solo hike through the forest. And I’m glad I did. I felt like I was living in the clouds or the clouds somehow originate from this place. It was the type of place that makes you wonder if you haven’t somehow stumbled into a magical place. 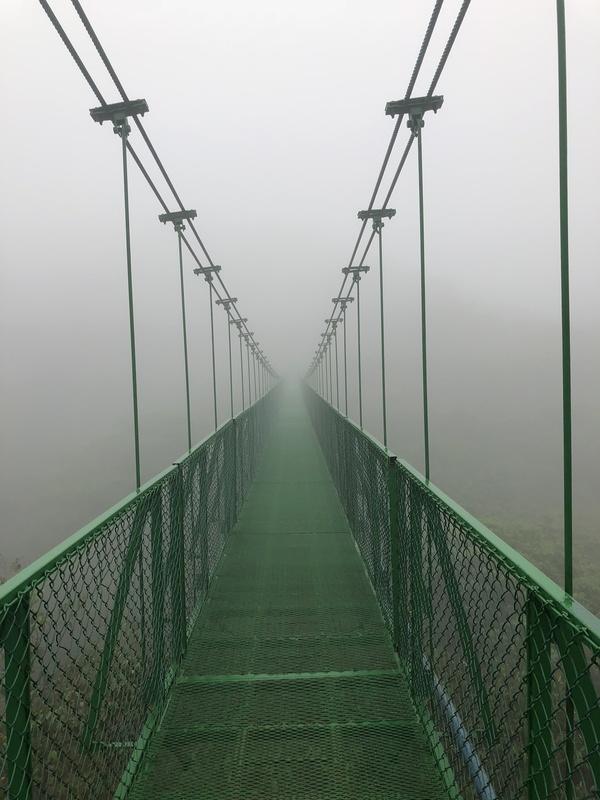 Everything was misty that I could just imagine some sort of mystical animal ambling below the bridges. Sure, it was wet and cold. But to hear the quiet hum of the forest makes you respect the life that is thrumming beneath the surface. I didn’t spot any wildlife save for the random brightly colored bird. But it was okay because such was the magic of the place that I didn’t want to disturb anything. Today I had my longest travel day as I made my way south to the coastal town, Manuel Antonio. The change in weather is welcome because much as I like the rain, I’ve been ready for some sunshine. Tomorrow I hike though the national park here. It’s one of the country’s smallest parks but it is apparently the most popular. 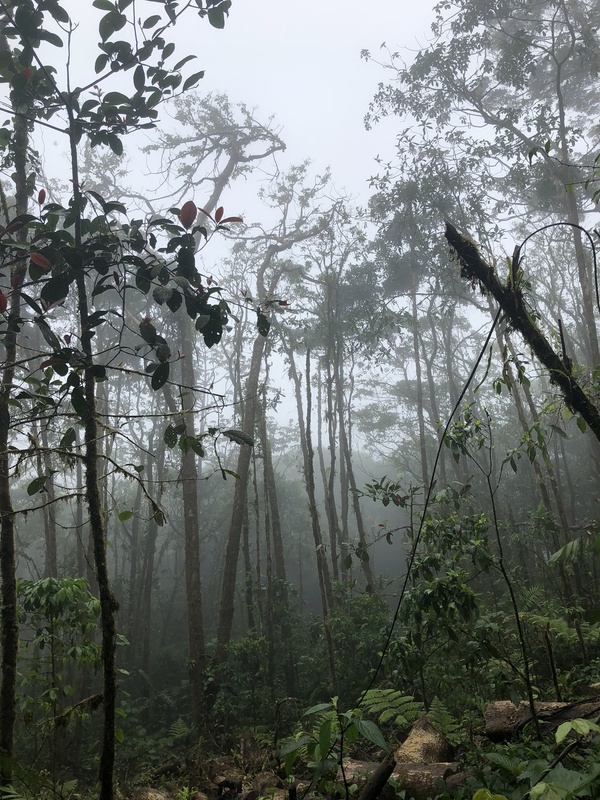 It might have something to do with how this is the area in Costa Rica where you are most likely to see a monkey. Also this is where I might see a sloth in the wild as they prefer low-lying areas. Until next time. Adios and pura vida! Previous Post Did you know anteaters can climb trees?